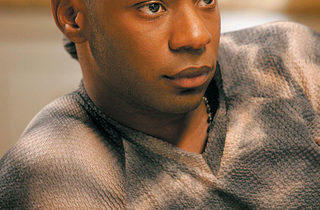 Actor Nelsan Ellis vamps it up on True Blood. Photograph: HBO/Prashant Gupta BLOODLINES Ellis channels his own life in True Blood. In backwoods Louisiana, short-order cook Lafayette Reynolds wears lipstick and earrings while dealing drugs and pimping himself out. 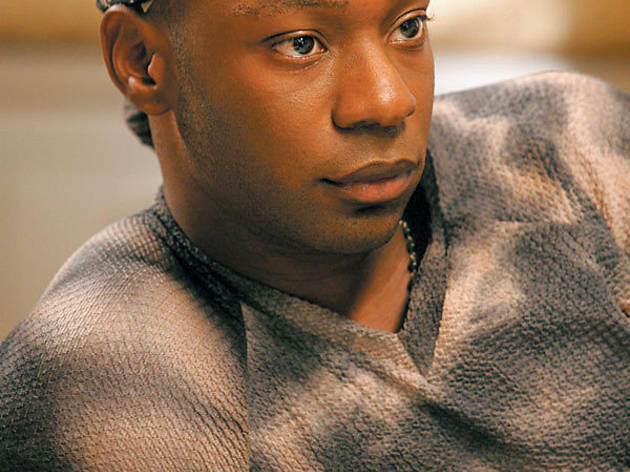 Thanks to the man who plays him on HBO’s vampire drama True Blood—Nelsan Ellis, a native of south suburban Harvey—Reynolds has amassed a cult following. Though averaging little more than a couple of scenes per episode, Ellis as Lafayette is a powerhouse, oozing confidence and sexuality. On May 19, season one’s DVD goes on sale; until season two premieres on June 14, 6.8 million viewers await the answer to one question: Is Lafayette dead? Created by Alan Ball (American Beauty, Six Feet Under) and based on the best-selling novels by Charlaine Harris, True Blood turns the vampire mythos on its head. Long relegated to the shadows of the night, vampires finally have come “out of the closet”; a new synthetic blood fulfills their dietary needs. They want to integrate with humans but must face the social issues—bigotry, violence and vampire profiling—that come with it. Ellis graduated from high school in Dolton, Illinois, before training at New York’s Juilliard School. Yet he spent much of his childhood in the poor town of Bessemer, Alabama. “It was hell,” Ellis says. “You go back to my town, it’s like going back to the 1960s…just not a great place to grow up.” In Alabama, Ellis’s sister, Alice, was murdered. “She was pregnant, and my brother-in-law shot her point-blank with a sawed-off shotgun in front of my six-year-old nephew,” Ellis says. He channeled his grief into authoring the 2002 play Ugly, which focused on domestic violence. It won the Lincoln Center for the Performing Arts’ Martin E. Segal Award. True Blood season one hits stores May 19. Season two begins on HBO June 14.